Enable patrons to checkout and unlock any Clear-Vu One-Time™ case in one simple step. 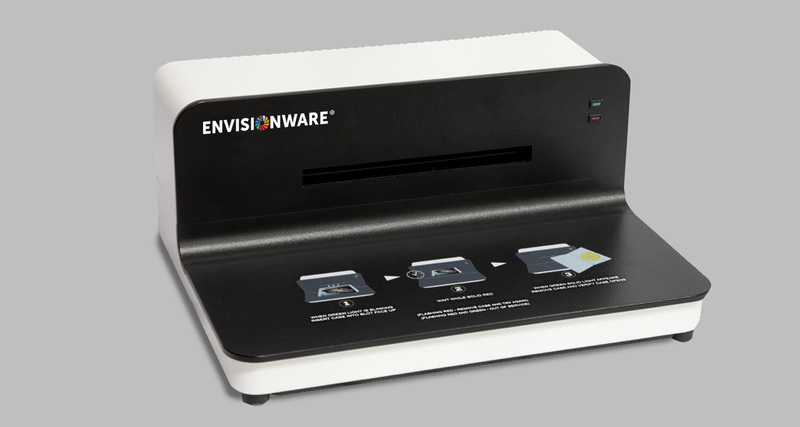 EnvisionWare® Media Case Controller (EMC2)™ enables patrons to checkout and unlock any Clear-Vu One-Time™ case, including Playaways®. In one simple step, the system reads the tag, checks out the media, toggles security on the tag and unlocks the case. Simple visual clues on the device combined with on-screen animation on the self-service circulation touch screen and prompts that are 100% user customisable, guide patrons through the simple workflow. The EMC2 integrates with III Express Lane [when used with III Item Status API] and with Polaris ExpressCheck™, as well as with EnvisionWare’s OneStop™ self-checkout software.